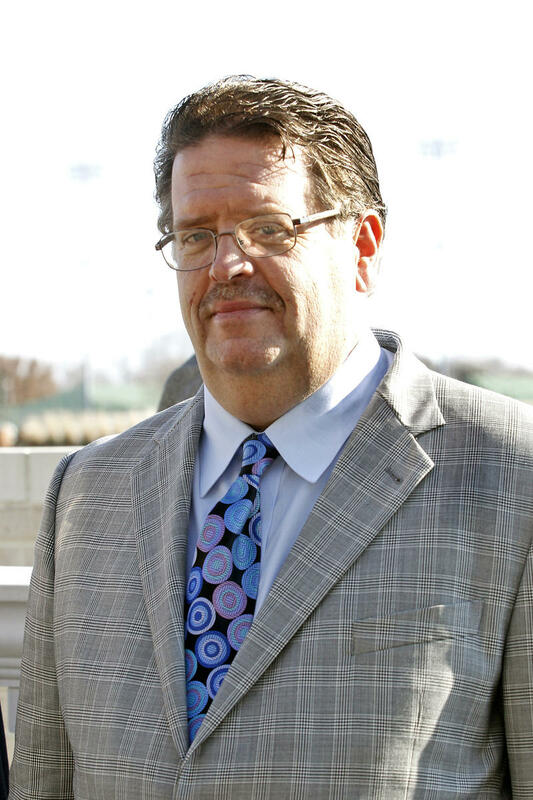 Dale Romans, trainer of Donegal Racing's Travers (GI) winner Keen Ice. Trainer Dale Romans says “there’s a strong possibility” that Donegal Racing’s Keen Ice, who famously snapped American Pharoah’s eight-race win-streak with a upset win in this summer’s Travers Stakes (GI), could make another start this year in the $500,000 Clark Handicap Presented by Norton Healthcare (GI) on “Black Friday,” Nov. 27 at Churchill Downs. Romans made the declaration Sunday morning after 3-year-old Keen Ice breezed a half mile at Churchill Downs in :48.20 under regular exercise rider Tammy Fox. The 3-year-old son of Curlin began his workout at the three-eighths pole over a “fast” track and recorded splits of :11.60, :23.60 and :35.60. He galloped out five furlongs in 1:02.40. Sunday’s breeze was the first since Keen Ice finished fourth, 12 ½ lengths behind American Pharoah, in the $5 million Breeders’ Cup Classic (GI) on Oct. 31. Romans went on to discuss Keen Ice’s campaign at the beginning of the year and how much the horse has developed as the year as progressed. The 1 1/8-mile Clark, which will be contested at Churchill Downs for the 141st time, annually lures some of the top 3-year-olds and up in the country and is the centerpiece of seven stakes events cumulatively worth $1.38 million that will be contested at Churchill Downs over the Thanksgiving holiday weekend. Other races on closing weekend include the $200,000 Falls City Handicap Presented by TwinSpires.com (GII) for fillies and mares at 1 1/8 miles and $100,000 River City Handicap (GIII) for 3-year-olds and up at 1 1/8 miles on turf on Thanksgiving Day, Thursday, Nov. 26; the $100,000 Commonwealth Turf (GIII) for 3-year-olds at 1 1/16 miles on turf and $80,000 Dream Supreme Overnight Stakes for fillies and mares at six furlongs on the Nov. 27 Clark undercard; and the $200,000 Kentucky Jockey Club Presented by TwinSpires.com (GII) for 2-year-olds at 1 1/16 miles and $200,000 Golden Rod Presented by TwinSpires.com (GII) for 2-year-old fillies at 1 1/16 miles on the Saturday, Nov. 28 “Stars of Tomorrow II” program, which features racing exclusively for juveniles. PLETCHER TO SEND PROTONICO, RACE DAY TO CLARK; FALLS CITY AN OPTION FOR MEI LING – Trainer Todd Pletcher plans to send Sumaya U.S. Stables’ Protonico and Matthew Schera’s Race Day for the $500,000 Clark Handicap Presented by Norton Healthcare (GI) on Nov. 27, while Barry Schwartz’s Mei Ling is possible for the $200,000 Falls City (GII) on Nov. 26. Race Day and Protonico last ran in the Oct. 30 Fayette (GII) at Keeneland where they finished first and fifth, respectively. Aside from a victory in the Fayette, Race Day scored a pair of graded stakes victories at Oaklawn Park this spring in the Razorback (GIII) and Oaklawn Handicap (GII). Protonico won the Ben Ali (GIII) at Keeneland and Alysheba (GII) at Churchill Downs this spring. Both horses seek their first Grade I victory. Pletcher will be in search for his third Clark Handicap victory. Magna Graduate (2005) and A.P. Arrow (2007) successfully represented the Pletcher stable in this race. Pletcher also is thinking about running Mei Ling in the $200,000 Falls City (GII) on Thanksgiving Day. The daughter of Empire Maker would be going for her first graded stakes victory. Two starts ago, she won the Lighthouse Stakes at Monmouth Park for her only stakes win to date. LUKAS HAS MR. Z ON TARGET FOR CLARK – Calumet Farm’s Mr. Z is targeting the $500,000 Clark Handicap (GI), which will be his 12th start this year for Hall of Fame trainer D. Wayne Lukas. The homebred son of Malibu Moon has made 11 starts at nine racetracks this year and won the $300,000 Ohio Derby at Thistledown on June 20. 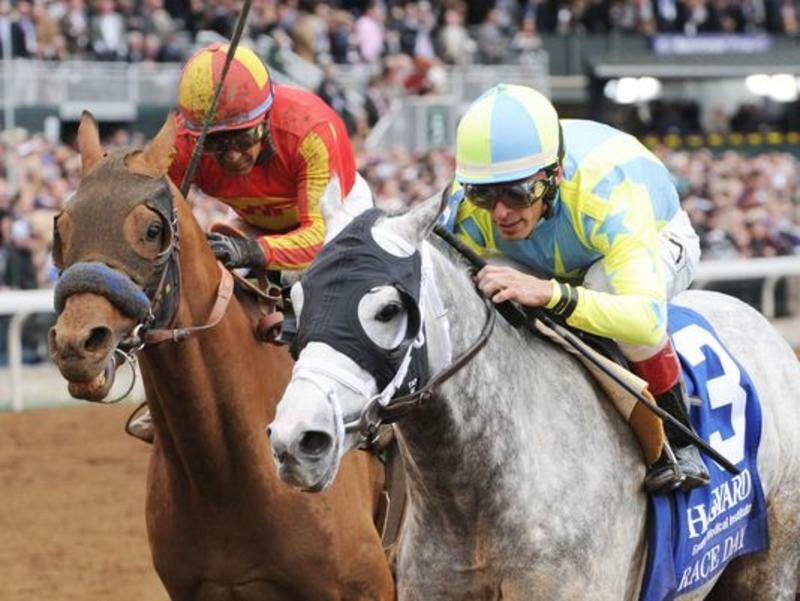 He has finished among the top 3 in five of those starts with a trio of third-place efforts at Oaklawn Park in the Smarty Jones Stakes, Southwest (GIII), and the Arkansas Derby (GI) and a runner-up performance in the Indiana Derby (GII) at Indiana Grand. Lukas feels that this year’s campaign has not phased the horse much. OLIVER POINTING ANNULMENT TO CARDINAL, PERSONAL DIARY TO DEL MAR’S RED CARPET – G. Watts Humphrey’s Annulment, a recent winner in a four-other-than allowance at Keeneland, will make her next start in Saturday’s $100,000 Cardinal Handicap (Grade III), according to trainer Vicki Oliver. Meanwhile, Oliver plans to run stable mate Personal Diary in the $100,000 Red Carpet (GIII) at Del Mar on the same day. Personal Diary’s last victory came at Del Mar when she won last year’s edition of the Del Mar Oaks (GI), Oliver’s first and only victory of such caliber. KISS MOON BREEZES FOR CARDINAL ’CAP START – Carl F. Pollard’s Kiss Moon will be going for her second graded stakes victory on the Matt Winn Turf Course at Churchill Downs in Saturday’s $100,000 Cardinal Handicap (GIII) after breezing five furlongs in 1:01.00 on Sunday morning. A victor in the Old Forester Mint Julep (GIII) this summer, Kiss Moon was assigned to carry 120 pounds for the Cardinal. “The race is a little further away from where I wanted to run her, but we’ll run her in the Cardinal and then get a few months off,” trainer Dave Vance said. Vance will likely prepare for a 5-year-old campaign at the trainer’s winter base of Oaklawn Park in Hot Springs, Ark. Cardinal Handicap possible starters (with assigned weight): Kiss Moon (120 pounds), Button Down (GB) (118), Bitty Kitty (117), Emotional Kitten (117), Rusty Slipper (117), Annulment (117), Invading Humor (117), Lacy (Ger) (115), Sistas Stroll (115), Weiner Valkyrie (GB) (115), Street of Gold (114) and America Mon Amie (113). DOWN THE STRETCH – In addition to the Cardinal Handicap, Saturday’s racing program at Churchill Downs will include the $80,000 Bet On Sunshine, an overnight stakes for 3-year-olds and up at six furlongs. … The next races on the “Road to the Kentucky Derby” and “Road to the Kentucky Oaks” come Saturday at Delta Downs in Vinton, La. The $1 million Delta Downs Jackpot (GIII) for 2-year-olds at 1 1/16 miles and $400,000 Delta Downs Princess (GIII) for 2-year-old fillies at one mile offer 10-4-2-1 points to Top 4 finishers. … Field size update: Through the first 10 days of the 21-day Fall Meet, the average field size is 9.69 starters per race, and only five of the 103 races have had less than seven starters. By comparison, the average field size through the first 10 days of the 2014 Fall Meet was 8.32, and 20 of the 100 races had less than seven starters. 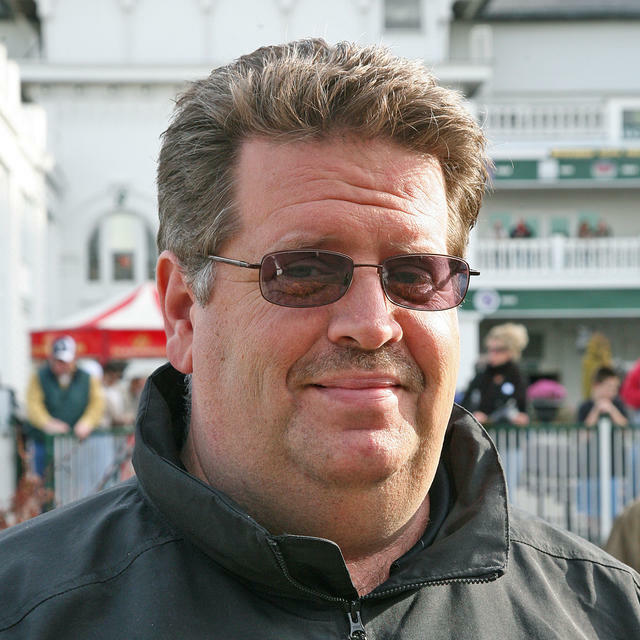 … Birthdays: former Churchill Downs jockey Mike McDowell is 67 on Monday; trainer Tom Amoss turns 54 on Tuesday; trainer Steve Asmussen celebrates milestone No. 50 on Wednesday; and jockey Ricardo Santana Jr. will be 23 on Thursday. … After dark days on Monday and Tuesday, racing at Churchill Downs will resume Wednesday with a 10-race program that begins at 12:40 p.m. ET. … Wednesday is Senior Day at Churchill Downs with special discounted Millionaires Row tickets offered to those ages 60 and up. To view a pdf of this news release, click here .